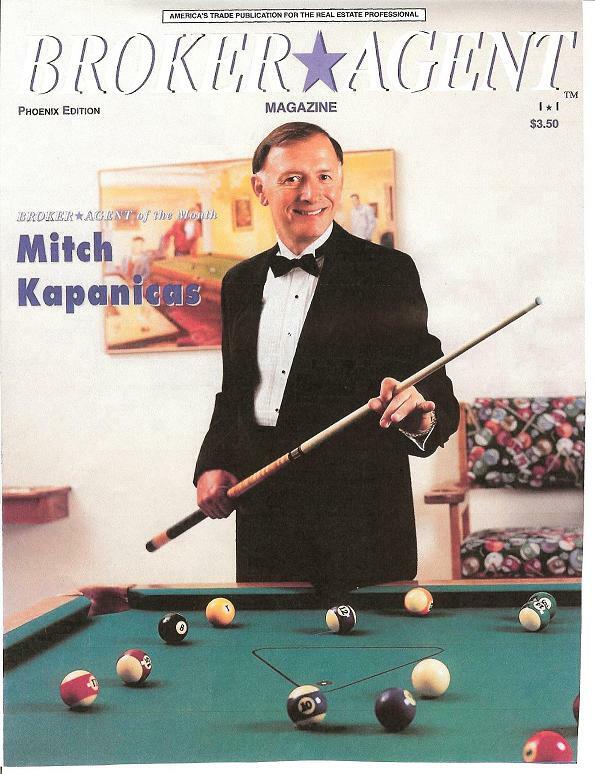 Mitch Kapanicas, in the last 26 years has been in the top 1% of Real Estate sales in the Nation. Mitch has sold and listed in every part of the valley but specializes in Scottsdale and the Paradise Valley area. Mitch is also strongly committed to protecting his clients interest whether it is a purchase or a sale of a home. Loyalty to his clients and attention to detail ensures a smooth and successful transaction. Mitch is part of a worldwide referral network which enables him to locate a professional Realtor to fit your needs wherever your move may take you. Being in Arizona since 1960 and a licensed Real Estate Agent for more than 26 years, gives Mitch the expertise to satisfy his clients. Mitch is proud of his reputation of offering honest and integrity in his successful Real Estate practice. Mitch's wife Beth works by his side assisting him in his daily operations. "If it is true that almost everything we become and accomplish in life is with and through other people, then the ability to create rapport with people is the most important skill we can learn". This web site features every real estate tool you need when looking at Scottsdale real estate and homes for sale. You can browse exclusive homes for sale, search virtually all Scottsdale area listings through my property search, calculate mortgage payments on your next home with my real estate mortgage calculators, access home buying and selling tips, get tremendous area information about greater Maricopa County including specific information for Scottsdale, Paradise Valley, Gainey Ranch, Tempe, Mesa and Phoenix. Furthermore, you can find out how much your property is worth, and access comprehensive information about selecting me as your real estate agent. If you are interested in learning about Maricopa County, AZ schools, this site also offers thorough school information. Looking to buy or sell a home in the Prescott or Prescott Valley area? Please let me recommend Holly Meneou with Realty Executives Northern Arizona. Holly is very knowledgeable about the Prescott and Prescott Valley area and would be a great benefit in your real estate search. Please visit Holly’s website today!